Spacious stand-alone 3 bedroom home; every room has a view! 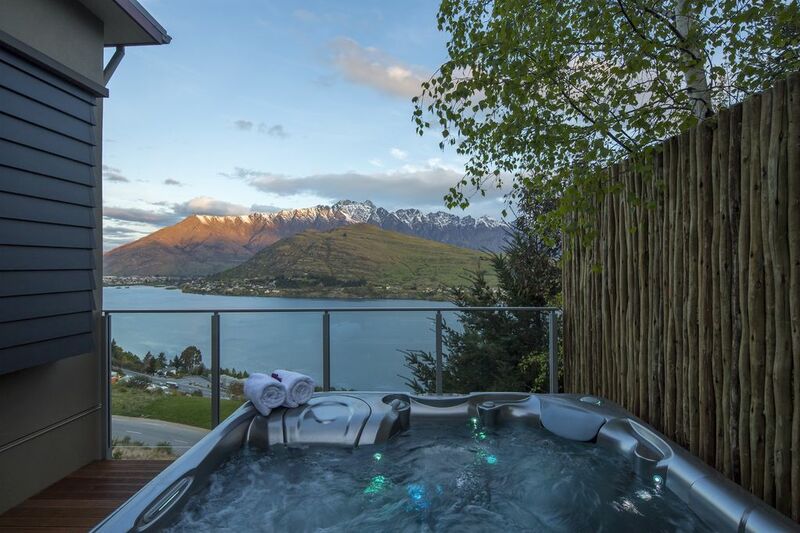 Views on Tussock has an elevated hillside location in Queenstown with panoramic lake and mountain views. Convenient location to the town centre, local ski fields, lakefront and supermarkets. High ceiling, open plan living and dining area with fantastic lake views and great indoor/outdoor flow onto balcony. There is also a private and sunny courtyard to the right of the house accessible from the lounge area. On a rainy day or relaxing evening at home, enjoy the selection of DVDs, many board games and books on offer in front of the large open fireplace. This house also offers complimentary use of children's toys, golf clubs for the adults and plenty of garage space to store ski gear and bicycles. Fully fitted kitchen with coffee machine which opens out onto living area. Dining area faces out onto living area and magnificent lake views. This open plan style allows for maximum enjoyment when entertaining friends or family. Three light and spacious bedrooms all with luxury linen and magnificent views. The master king bedroom located on the top floor has a modern ensuite and separate SKY box (cable TV). The two guest bedrooms both share the guest bathroom with a heated towel rail, hair dryer, luxury toiletries and underfloor heating. NZ$150 one-off charge for the use of the spa pool. Please advise in advance if you would like to add this to your booking and it will be professionally cleaned and ready for your arrival. Rates are inclusive of GST (15% NZ tax), all linens, exit clean and a personal welcome upon arrival. Toiletries, towels and hair dryers provided. Both bathrooms have heated towel rails, underfloor heating and lake views too! great property, would love this as a regular holiday home! It is only a three-five minute drive from the main centre of Queenstown and less than 10 minutes from the airport, a convenient proximity to the town centre, local ski fields and supermarkets. The lakefront is just down the hill with a quaint waterfront cafe and the popular Frankton Walkway track for a scenic stroll, run or cycle.